Combo pack, the name says it all: if you can’t choose, just order combination packages with multiples types of your beloved marijuana seeds. Autoflowering, Cup winners, fruity species or a medical combo pack if you grow your own medicine, Amsterdam Marijuana Seeds (AMS) offers a total package deal for everyone. So pick a pack and start enjoying multiple strains. Happy growing! Can’t seem to choose your favorite marijuana strain? Why not try a combo pack! It’s simple: we have selected our very best seeds for you, which we offer in eight different combination packages. In every combo deal, you will find ten seeds of two or three different species. That way you can try new strains or just buy you favorite seeds for an even more affordable price. The AMS most wanted combo pack contains our best selling strains. A combination pack with the most popular strains from our catalog: Mega JackPot Feminized (4x), White Widow XTRM Feminized (3x) and Amnesia Trance Feminized (3x). This pack represents the best of all worlds: the first one is a strong grapy-vanilla strain, White Widow gives lots of yield and Amnesia is a sativa strain with a touch of indica. Do you like to go for the ‘easy to grow’ marijuana seeds? Or maybe you are a breeder who is just starting out. Then we recommend the autoflower combo pack. 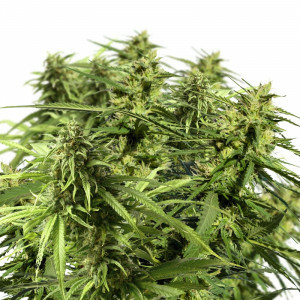 This pack has the best autoflowering strains for easy growing: five Ganja Dwarf Autoflower Feminized seeds and five Light of Jah Autoflower Feminized seeds. These strains are easy to grow and it’s an excellent quality for an affordable price. AMS always offers the best quality in marijuana seeds for the most affordable prices. We are the best seed bank you will find in Amsterdam; the capital of the country where marijuana celebrates its glory days. We have over 15 years of experience and we only work with the most experienced breeders, in order to ensure the quality and innovation of our range. Our range includes over 100 different cannabis seeds straight from Amsterdam. We offer high-quality seeds, which are selected by Dutch top breeders. 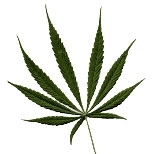 We also sell other cool and useful products like hemp cheese, merchandise, vaporizers and fertilizers. We want to make sure that the whole process, from buying online to yielding, is a success. Now you know a little bit about our weed seeds combo pack range, it may not be a surprise that our combination packages are very diverse as well. We have a special sativa combo pack with our favorite sativa strains. Or try our best indica strains in the indica combo pack. Looking for the best strains? Try the Cup Winner combo pack. One of our own favorites is the fruit basket. Growing is fun and pride comes in when the harvest is massive. But there goes nothing above smoking your own pride. In this combo pack we combined our most delicious tasting strains with pineapple, mango and strawberry flavor. Great to enjoy all year round. If you have any questions about the AMS combo pack, please do not hesitate to ask. AMS is here to help you. Whenever we can, because we want to make your day. We want you to have a successful crop of marijuana and we want you to be happy. In short: whatever you need, we will help you. Just send us an email or fill out the contact form. Our combo pack is a melting pot of the most delicious, finest and strongest marijuana seeds. Try it and you will not regret. Buy your favorite beans now online at AMS. We guarantee delivery of your seeds to your doorstep, no matter where you live. The combination pack looks just like you receive normal mail, so nobody sees what an eccentric gift you treat yourself on.